A certified Yoga Therapist, Marie-Daphné is known for her expertise in Restorative Yoga, Yin Yoga, Yoga Therapy and Yoga for Women. 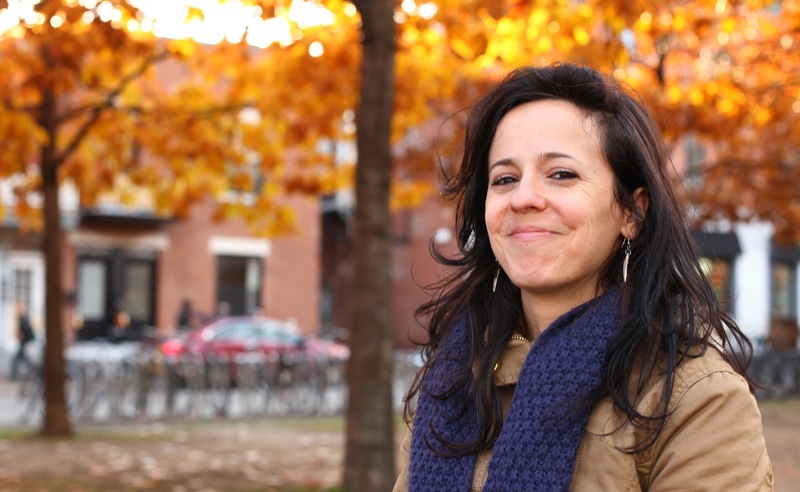 She teaches at the CHU Ste-Justine in the Eating Disorders Program. She now pursues studies in Mental Health and in Somatic Experiencing. A graduate of UQAM in Religious Studies (2007), with a specialization in Hinduism, she has visited India twice to study Hindu pilgrimages. She also studied Contemporary Yoga during graduate studies in Sociology. 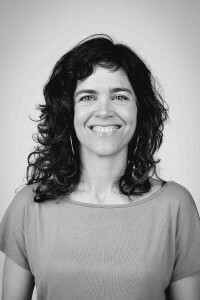 Marie-Daphné is the Founder of Yoga Bhavana and co-Founder of Bhavana la clinique. She is a full-time Yoga Teacher for 20 years and a massage therapist for more than 18 years. 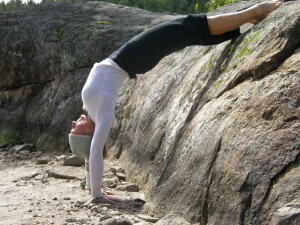 She’s been training Yoga Teachers and leading Yoga Retreats locally and internationaly for over 10 years. Marie-Daphné invites you to a practice in which your experience of your body and breathing are paramount. She emphasizes the subtlety of alignment, the intelligence of restorative postures and the sensitivity of therapeutic yoga. Deeply grateful Marie-Daphné studied with dedicated teachers. Her first love was Kripalu Yoga, which she studied for two years in residence under the supervision of Yoganand Michael Carroll. Back in Montreal, she met Hart Lazer, a teacher first trained in the Iyengar Method, with whom she studied steadily for 12 years, including 4 years of assisting him in teacher trainings. She is also inspired by Ramanand Patel, an innovative teacher recognized for his use of props and his therapeutic approach. In parallel, Marie-Daphné encountered Sarah Powers and Paul Grilley with whom she’s been training in Yin Yoga since 2003. 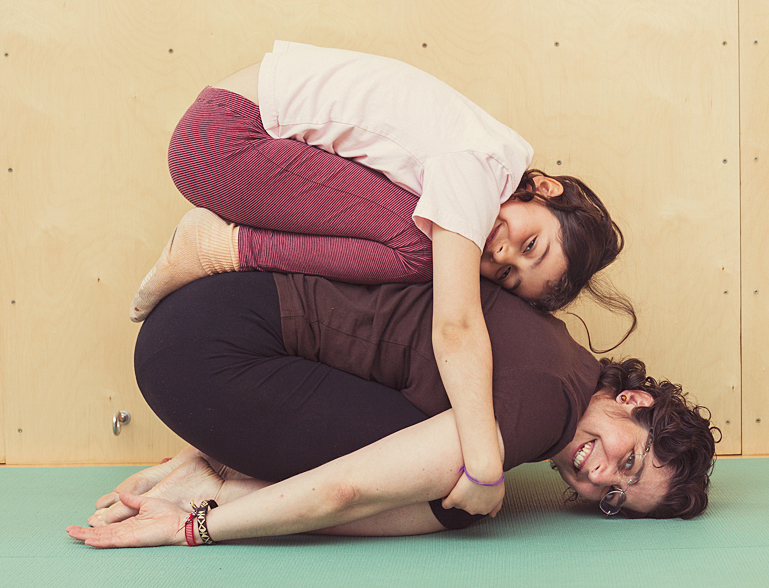 Marie-Daphné now pursues her yoga path and inquiries with her mentor Sarah Powers. Learn more about my approach to Restorative Yoga. Feel like a guided practice in the comfort of your own home? Check out my videos on Mon Yoga Virtuel. Julien has been growing in the world of Yoga and spirituality for nearly 10 years. The practice of meditation first gave him the ethical foundation of his practice. Julien appreciates strength, rigor and concentration, three qualities that enable the practice of Yoga and that he wishes to teach with respect and humor. 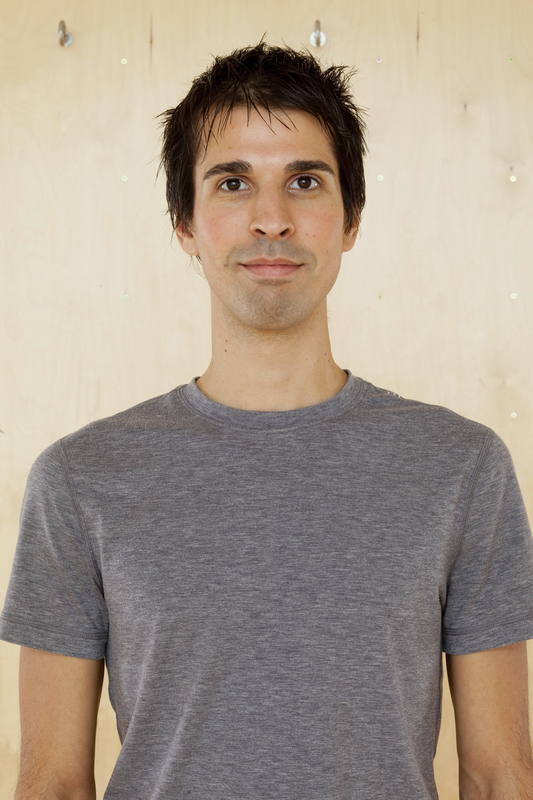 As a dancer, Julien explored different approaches such as Anusara Yoga as well as Sivananda and Iyengar Yoga. By learning to move and soften the body in a heathly and balanced fashion, the Yoga complimented his dance training at the National Ballet School of Canada. It is in Toronto, in the Yoga Sanctuary and Downward Dog Yoga Center studios that Julien discovered Ashtanga Yoga, the type that suits him best. 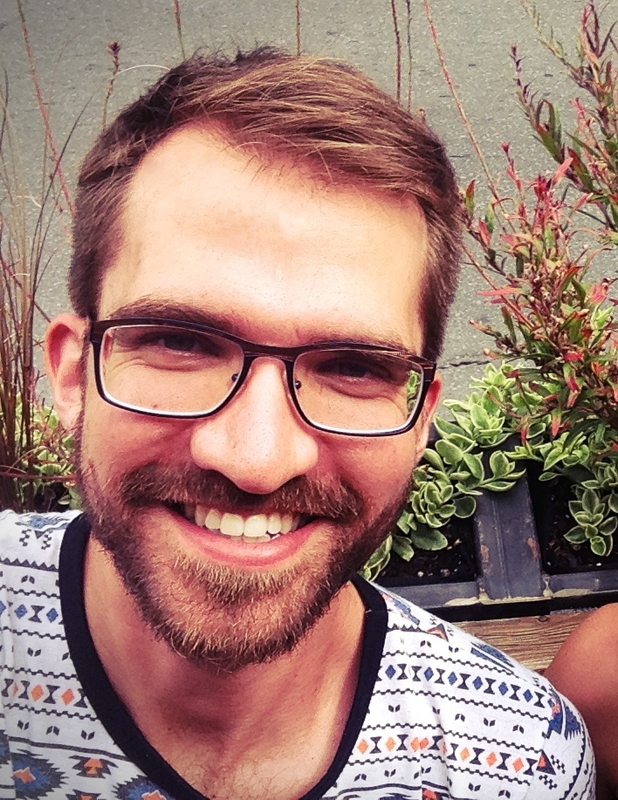 Back in Montreal, Julien broadens his studies at Ashtanga Yoga Montreal with Allison Ulan, Eugene Poku and Jessie Goldberg. As a certified teacher gifted with great polyvalence, Julien gives a variety of classes ranging from Astanga to Restorative Yoga as well as Athletic and Acrobatic Yoga. In his eyes, Yoga promotes optimal alignment and is a natural method to regenerate the organism’s vital functions. In the training of high-level athletes such as marathoners, triathaloners, swimmers, professional dancers or circus artists, Julien uses the athletic strength of Ashtanga Yoga to respectfully bring the body to the maximum of its capacities. Driven by a curiosity for cognitive sciences, eastern philosophies and martial arts, Rija began training in the Feldenkrais method in New York in 2009. Through this practice, he has discovered a concrete and original way to connect mind and body, with the intent of developing his potential as a human being. Today, he shares his learnings with enthusiasm. 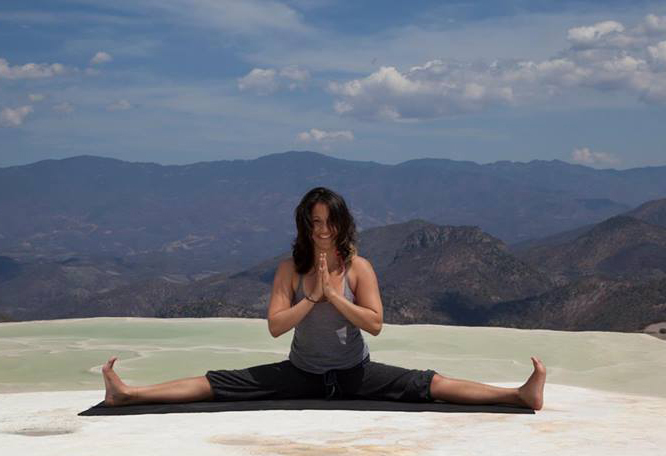 Patricia is a certified yoga teacher who teaches in English, French and Spanish. Charismatic and jovial, she is a dedicated practitioner who guides her classes with precision and thoughtfully organized sequencing. Intrigued by the workings of asana, Patricia encourages her students to remain open to what each posture offers and to practice with integrity and truthfulness. Patricia considers respectful and patient observation of the body and mind a key ingredient for the practice to unfold. For her, approaching the practice with curiosity and attention reveals the unique experience of each breath on the mat. Patricia remains deeply grateful to the teachers she has met in her path for having taught her the way into yoga with openness and unconditional love toward the practice. She has been joyfully studying under Hart Lazer’s guidance since the summer of 2009. Marielle is a certified Hatha yoga teacher inspired by the Ashtanga style of the AYM studio in Montreal. A dynamique approach focussed on the balance between effort of movement and personal potential. This training introduced her to the discipline of daily practice and was the start of a relationship that has lasted for over 15 years. For her yoga is the optimal challenge of everyday living. Exploring the tensions between effort and ease, comfort and discomfort and the sense of self within turbulence. Simplicity and movement. With a background in Massage Therapy, Horticulture and Garden Design she is currently completing the Professional Yoga Therapist Program at Naadayoga. Kim Zombik is a Certified Kripalu Yoga instructor. Originally from Boston, Massachusetts, her quest for life’s deeper meaning lead her to the rich and profound world of yoga in 1986. In 2007, she became certified to teach yoga at the Kripalu Center in Lenox, Massachusetts. She continues her professional training with master teacher Hart Lazer. Her practice of yoga is inspired by many wonderful teachers: the lyricism of dance, the fortitude of the martial arts, the wisdom of the I Ching, the precision of BKS Iyengar, as well as the subtle anatomy work of Bonnie Bainbridge Cohen, the energy and chakra work of Barbara Ann Brennan, and the transformations found through Network Spinal Analysis. Swami Kripalu said “Yoga is the meeting of the drop with the ocean.”, With humour and love, Kim’s helps her yoga students create a bridge between “the drop” of their physical selves and “the ocean” of the innate ease, joy, wisdom and divinity that we all possess. Teaching yoga since 2003, Marie-Pierre offers a space where intensity and taking yourself not too seriously can coexist. After an initial 2-year teacher training with Hart Lazer and Lyne St-Roch, several teachers and sages keep inspiring her ways of sharing yoga and living life: Mooji, Eckart Tolle, Byron Katie, John Friend, Erich Shiffmann, Rumi and Hafiz, to name a few. Basic integrative body psychotherapy training, non-violent communication workshops and undergraduate studies majoring in Adult Education continue to nurture and expand her general understanding of human interactions and growing processes. Marie-Pierre is passionate about testing and questioning what allows wellbeing and vitality to surge and to flow. How can mental fog release into intimate clarity? What are the possible trails from feeling restricted and separate to feeling vibrant and connected? Marie-Pierre first taught at Studios Lyne St-Roch in Montréal, then at Studio Metta in Rimouski and later in the charming Petite-Nation countryside. Back in Montréal since 2016, she teaches at studio Vert Prana and offers workshops exploring yoga, sounds, presence, creativity and human connection. Happy and honored to join the team here at Yoga Bhavana, Marie-Pierre wishes to share, explore and keep on discovering the many gifts the ancient practice of yoga has to offer. 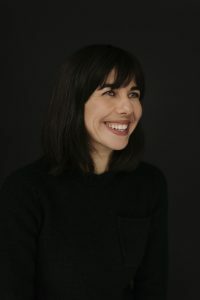 Cristina has always been interested with the connexions between the body, creativity and emotions. After studying dance 10 years in Spain, Cristina she has broadened her knowledge on corporal therapies through various approaches. Since her arrival in Montreal, yoga has become the core of her research and the object of her teaching. 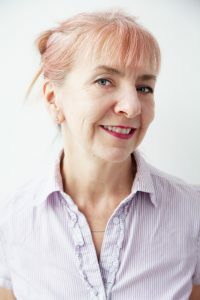 She has completed a hatha yoga teacher training at Ashtanga Yoga Montreal and other specialised trainings in yoga teaching: yoga for seniors with Carole Morency, yoga for children with Francine Cauchy, prenatal yoga with Mélanie Chevarie, and restorative yoga with Marie-Daphné Roy at Studio Bhavana. She is currently pursuing her learning in therapeutic yoga at Naada yoga Studio and in Âyurveda with Ayung Dari. For Cristina, the practice of yoga – which is dynamic and daily changing – challenges us to observe the state of the body, to develop our listening abilities, and to walk slowly towards a new space of conscience, freedom and open mindedness. 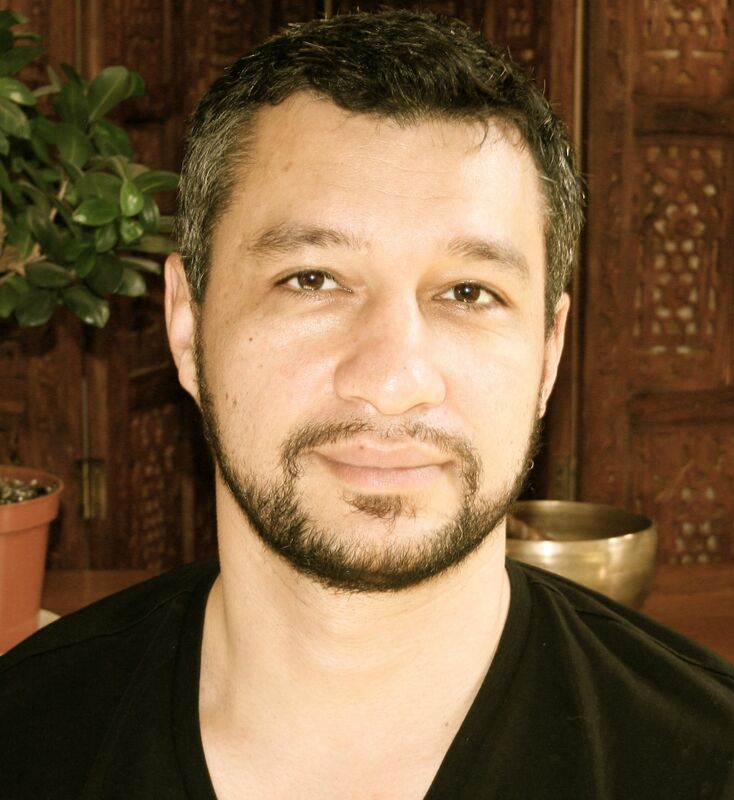 Pierre-Vincent has been practicing and studying yoga (hatha, ashtanga and restorative) and meditation for about 10 years. He is also a certified shiatsu massage therapist and is now completing a master’s degree in social work. In his teachings, he combines his knowledge of yoga, mindfulness meditation, traditional Chinese medicine and counselling. His approach is psycho-corporal and, thus, he works on the physical, mental and emotional bodies. His intention is to support empowerment and the integration of the practice and its benefits outside the mat. I started to attend Feldenkrais lessons during my adolescence, after I was diagnosed a herniated disc. These lessons helped me recover from my condition. Afterwards, I kept studying the practice of the Feldenkrais Method, focusing on movement, proprioception and learning process. All along my training I wanted to understand how people can learn to move without hurting themselves and – on the contrary – how they can utilize the experience of movement in order to adapt and even blossom in the physical and relational world. After a master degree and a post-master degree on the teaching/learning process (Università degli Studi di Torino), I earned a teaching certification for the program Bones For Life. This new approach, derived from the Feldenkrais Method, aims to improve a person’s vitality and energy by stimulating the skeleton’s proprioception and the regeneration of bone density. After I moved to Montréal, I also obtained a graduate diploma in Somatic Education (Dance Department of the UQAM), as well as an advanced Feldenkrais certification (École québécoise de Formation en Éducation somatique). I currently teach the movement learning process according to the Feldenkrais and Bones For Life methods in Côte-des-Neiges and Ville Saint-Laurent, among other places. 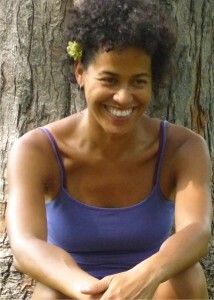 Eléonore took her first yoga teacher training in Montréal with Hart Lazer in 2007. Since then, she has been trained in therapeutic yoga with Isabelle Sarne, prenatal with Janice Clarfield and completed a 500h training at Kripalu Center in 2013 in meditation, pranayama and Ayurveda. She is also a certified Thaï-Yoga massage therapist and teaches for Lotus Palm in Montréal. Brigitte Vaillancourt partage son temps entre l’écriture et le yoga, une rencontre heureuse qui lui permet de faire de l’espace dans sa tête et son corps. Elle pratique le yoga depuis une quinzaine d’années. En 2015, elle décide d’approfondir ses connaissances en s’inscrivant à la formation professorale de 500 heures au studio Naada. Le corpus diversifié lui offre la chance d’explorer d’autres dimensions essentielles du yoga, comme la méditation et le pranayama et de rencontrer des professeurs aguerris dont Richard Rosen, Matthew Remski et Ann Dyer. Elle a également étudié auprès de Lyne St-Roch. 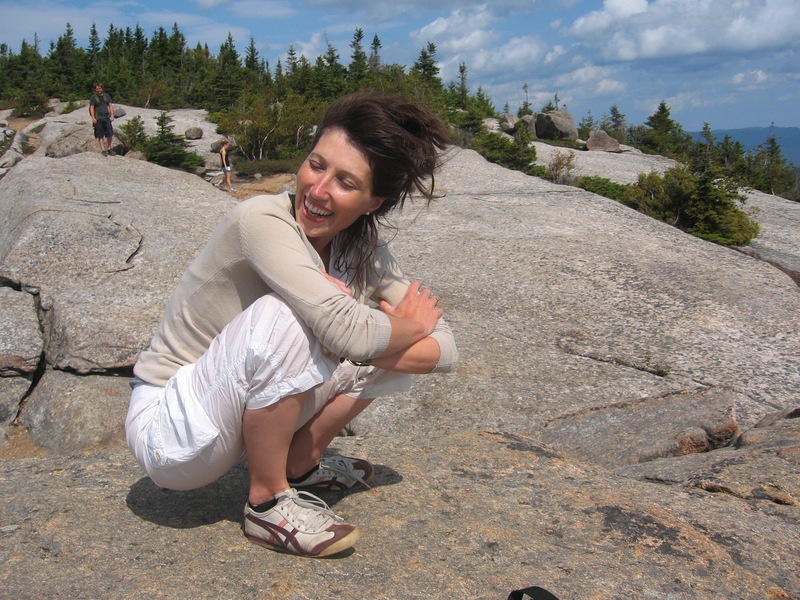 Sound artist Kathy Kennedy holds a masters degree in classical voice. She has founded and directed several choirs in Montreal, including the feminist vocal ensemble Choeur Maha. She currently teaches electroacoustics at Concordia University and directs the chamber choir there. She is also a certificate holder in “Deep Listening, a method of sonic meditation from musical visionary Pauline Oliveros. She frequently lectures on hearing, the voice and on acoustic ecology. Catherine is a certified Kripalu and Ashtanga Yoga teacher as well as a certified massage therapist in Californian, Swedish, Thaï massage as well as in Reiki Shamballa an energetic approach. Passionate about all types of parallel medicine, Catherine has always shown a marked interest in treatments that favor a holistic vision. 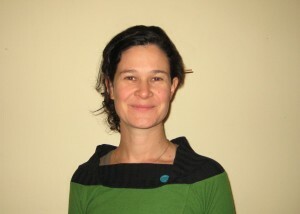 She is invested with sincerity and conviction to deepen her knowledge of massotherapy and teaching Yoga. She aspires to guide the people that consult her into healthier tomorrows and into a deep sensation of well being. It is with love and compassion that she hopes to teach a physical, emotional and spiritual awakening. Join her to explore your potential and sensations. Catherine is a new mother! She’s been with us from the very beginning and now her life is inviting her to Lac St-Jean. 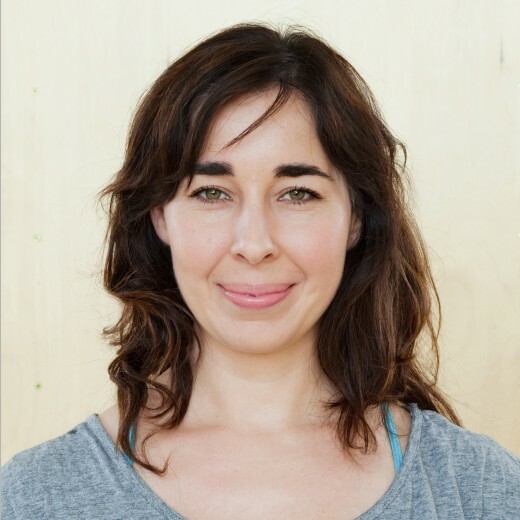 She assists Marie-Daphné in our Restorative and Yin Yoga Teacher Training. I’ve always been interested in movement. It’s an endless topic which I first approached by studying biology for ten years. Attracted by the complexity of the living, I wanted to understand the internal movement of a cell, that of proteins circulating through blood, the displacement patterns of microorganisms or the path taken by a caterpillar in search of food. Later, my own movement became a center of interest. Through the regular practice of yoga and Pilates, I noticed how this type of approach can be transformative. The learning that one can derive from the simple fact of being aware while moving is very deep and has effects on the entirety of his being. Enriched by this experience, I have decided to undertake a training to become a Pilates teacher, which I am since 2008. Little by little, I have begun integrating Somatic Education to my practice with the goal of deepening my experiential understanding of movement. I now have also a graduate diploma in Somatic Education, as well as an advanced Feldenkrais certification. I am mainly devoting myself to teaching Pilates and it’s Yoga Bhavana who offered me the opportunity to teach my first Feldenkrais class. Chiara started practicing Hatha and Ashtanga yoga in 2000 in Austin Texas, primarily with Mark Uridel, Sharon Moon and Bella Lajuzan. After moving to Montreal she took her first teacher training with Hart Lazer in 2006 and continues to train with him to date. A scientist and developmental biologist, she is interested in the human adaptive processes and neuroplasticity. Teaching yoga since 2009 she leverages these inborn capacities to focus the mind and steer the body towards more ease and less pain.